Wooden Knee Braces are made out of solid Western Red Cedar timber. The Knee Braces is a timber that is framed diagonally between a post, and a beam. Customers use our cedar knee brace to accent exterior soffit, front entries, front porches, columns and more. All of our products are available in smooth or rough sawn finish and can be custom made to accommodate your specific requirements. 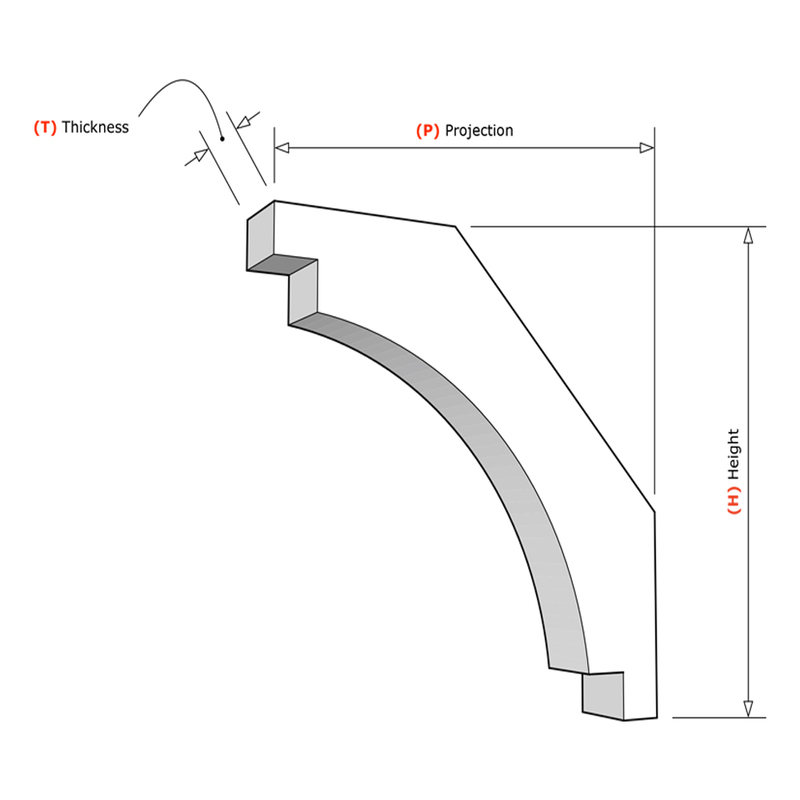 (T) Thickness - Width left to right when looking at the face of the bracket.